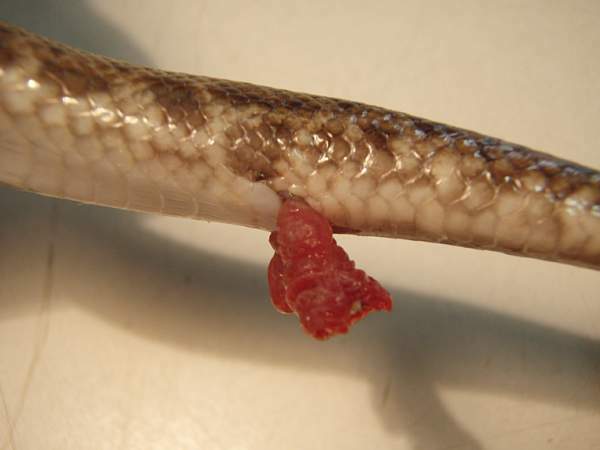 Prolapsed heme-penes on a spotted python. Male pythons have heme-penes hidden in cloacal sacs. These are used in the mating process and are generally not visible. However in this case the heme-penes had prolapsed and as they could not be replaced, surgical intervention was required. Under a general anaesthetic the prolapsed heme-penes were ligated and amputated.